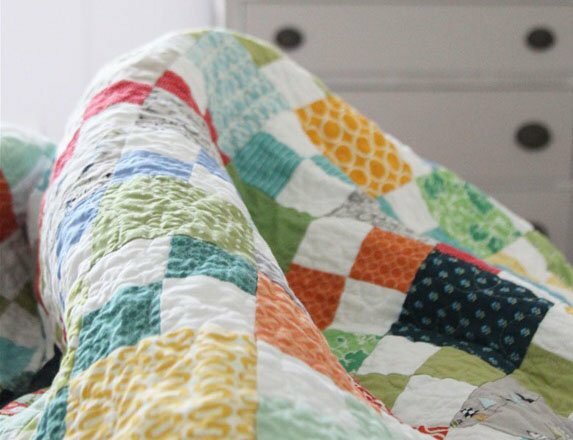 "This is a fabulous quilt for using up scraps…and since my inbox was full of questions about it I figured I’d post a quick free pattern. 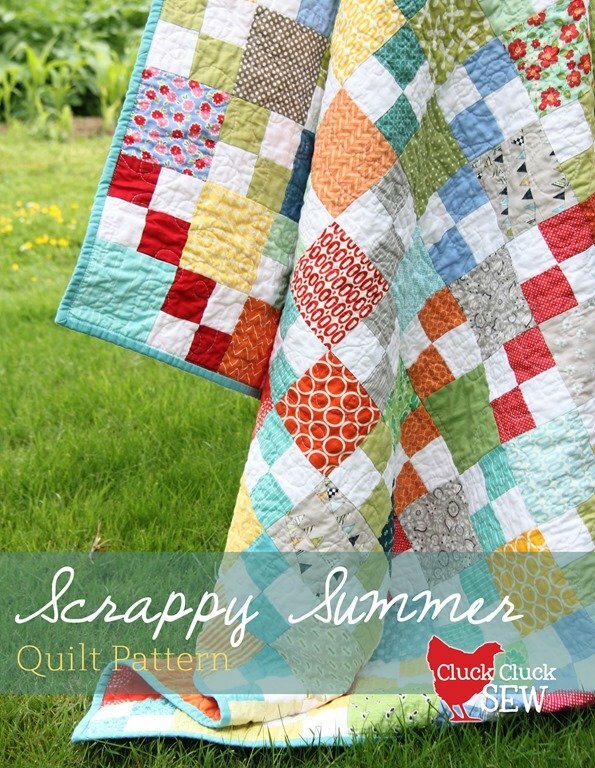 I’ve seen many antique quilts in this pattern. 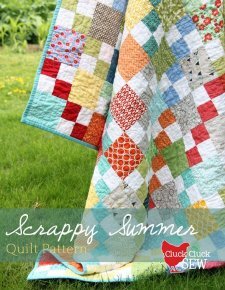 It’s been around forever…and is a great way to use up extra strips, squares, or extra pre-cuts you have lying around. If you want a more detailed version of this pattern with yardage requirements, sizes, and color options, you can find a pattern in my shop."